Bharatiya Janata Party leader Narendra Modi's election juggernaut in the 2014 Lok Sabha polls is an example of howto prepare and successfully implement a marketing and branding campaign. This case study looks at the strategy and tactics behind the creation of Brand Modi. Executive Summary: Bharatiya Janata Party leader Narendra Modi's election juggernaut in the 2014 Lok Sabha polls is an example of howto prepare and successfully implement a marketing and branding campaign. Irrespective of your faith, ideology and voting decision, there has been no escaping Modi. His image and in-your-face messaging have overshadowed all other brands - even that of his own party. 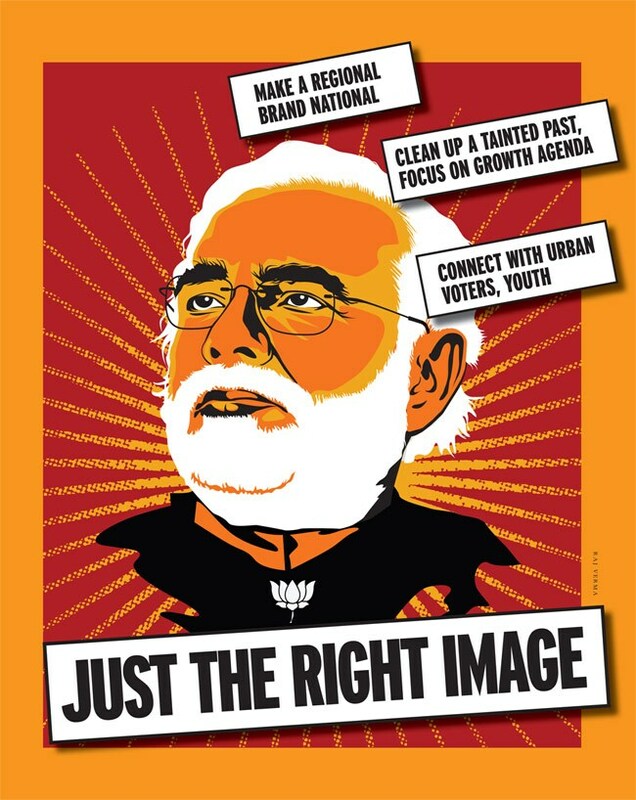 This case study looks at the strategy and tactics behind the creation of Brand Modi. Pitching a specific leader as a driver of change and to mobilise voters' support is hardly a new political strategy. After all, the Bharatiya Janata Party (BJP) had projected L.K. Advani and Atal Bihari Vajpayee its prime ministerial candidates in the past (remember the Ab ki baari Atal Bihari slogan in 1996?). The Congress party's projection of Indira Gandhi as the country's tallest leader with its 'Indira lao desh bachao' tagline in the 1970s is another such example. But the personal rhetoric had been tied, and sometimes made subservient, to the political parties to which these leaders belonged. With his landslide win in the 2014 Lok Sabha elections, Narendra Modi has rewritten the rules of the game and redefined Indian politics. Brand Modi has not only captured popular imagination but also trumped Brand BJP. How did it happen? David Aaker, American marketing guru and author of several books on branding, wrote in an April 2012 blog post that every person has a brand that affects how the person is perceived and whether he or she is liked and respected. This brand, he says, can be actively managed with discipline and consistency over time, or it can be allowed to drift. Modi and his marketing team showed oodles of both once he was anointed the BJP's prime ministerial candidate on September 13 last year. In fact, they had been at it from much before. Modi's transformation over the past year from a regional, right-wing politician to a decisive leader with a clear development agenda, the one best suited to take India forward is nothing short of extraordinary. 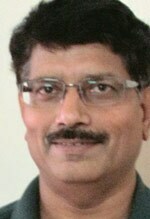 Senior BJP leaders Piyush Goyal and Ajay Singh handled the overall media strategy, and a task force was constituted to handle Modi's campaign in Varanasi. Advertising legends such as Ogilvy & Mather's Piyush Pandey, McCann Worldgroup's Prasoon Joshi and Sam Balsara of Madison World lent their skills at various levels. 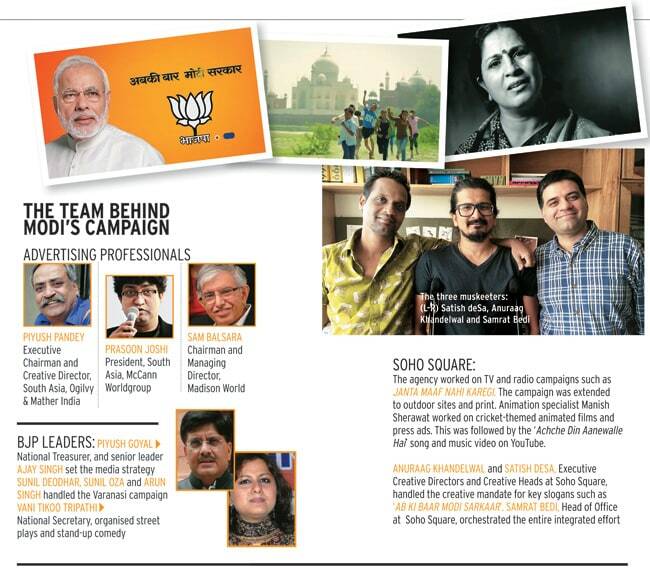 Advertising agency Soho Square, part of the WPP Group, handled television, radio and print campaigns with catchy slogans such as "Ab ki Baar Modi Sarkar". "The archetype he offers is of a strong, all-knowing father figure who is unwavering," says Santosh Desai, who heads Future Brands, the brand consultancy arm of Future Group. To create the father figure, Modi's team invoked tales of childhood, in books and comics. Invariably, and understandably, they were tales of heroism involving a precocious Bal Narendra (Modi as a child). What else would you call a story about a child swimming across a crocodile-infested lake to plant a flag on a memorial? The child, when he came of age, walked away from his family to devote himself to public cause, lending what brand consultant Harish Bijoor calls "bachelor blandness" to his story. Modi's team faced three main challenges when it set out to project him as the country's next prime minister. One, the three-time Gujarat chief minister was a regional brand trying to go national. Two, the 63-year-old was seeking to connect with the youth considering that this year's election had almost 150 million first-time voters. Modi, who rarely chooses to speak in English, was trying also to connect with the urban, middle-class audience that is becoming more politically conscious. Finally, and most importantly, he carried the taint of the 2002 anti-Muslim riots in Gujarat. The one event that, perhaps, helped Modi the most in making a mark on the national scene was the shifting in 2008 of Tata Motors' factory for the Nano minicar from West Bengal to Gujarat. Farmers in West Bengal, backed by firebrand politician Mamata Banerjee, now the state's chief minister, had been protesting land acquisition for the plant by Tata Motors. Modi provided the company land and other incentives almost overnight. In the process, he also established himself as a champion for industry and development. 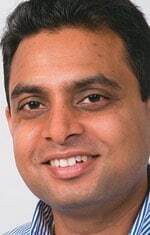 Sridhar Samu, Assistant Professor of Marketing at Hyderabad's Indian School of Business (ISB), says it's not easy for most product brands to go from regional to national. He says the dilution of the only other national brand, the Congress, and a common underlying need for change also helped Modi. "If a brand can tap into a common underlying need and connect it to benefits, then it could go national. We see how both Haldiram's and Saravanaa Bhavan have managed this. They targeted the underlying need for tasty snacks and south Indian food," he says. According to Y.L.R Moorthi, Professor of Marketing at the Indian Institute of Management, Bangalore, there is a difference between a regional brand going national and a politician going national. He says Modi was known outside Gujarat even before he decided to move beyond the state, just as Nitish Kumar and J. Jayalalithaa, chief ministers of Bihar and Tamil Nadu, respectively, are known. But these regional leaders didn't venture out of their home states in the recent elections. Modi did. And he did it at a massive scale - he attended more than 5,000 events and 470 political rallies across the length and breadth of the country. On February 6, 2013, more than six months before he was named as the BJP's choice for the prime minister's post, Modi addressed students at Delhi's Shri Ram College of Commerce. He talked about Gujarat's model of development. He spoke passionately about the need for speed in government decision-making and about the need to improve skills of the youth to accelerate economic growth. That speech won him many young admirers. One of them is the second-year student Sulabh Newatia, who says he decided to cast his vote for the BJP after listening to Modi's speech. "I see him as a visionary who can take the nation forward," says the 19-year-old from Kolkata. Modi, an excellent orator, has delivered scores of similar speeches since then. He highlighted slowing economic growth, high inflation and lack of new jobs - issues which immediately resonate with young and urban voters - while blaming the Congress-led United Progressive Alliance government for the problems. After the elections were announced, his marketing team bombarded voters with print, television and radio advertisements with the same themes. It reached voters through text messages and Modi's recorded voice seeking votes for himself. It also tapped into social media platforms such as Facebook, YouTube and Twitter - Modi has about four million Twitter followers - to magnify the impact of the advertising and branding campaign. The impact of this relentless campaigning has been felt across different age groups, geographies and sections of society, says political analyst Manisha Priyam. "I have even heard young children, far removed from such debate, mentioning the word 'NaMo'," she says, referring to a sobriquet for Narendra Modi. The carefully crafted moniker also appeals to the traditional Hindus - the BJP's main vote bank - because of its religious connotation, as the Sanskrit word Namo is used as a salutation reserved for the Hindu gods. Modi's efforts to connect with the youth and urban voters were helped in no small measure by his pro-business persona. Business leaders from industry doyen Ratan Tata to billionaire brothers Mukesh and Anil Ambani have praised Modi and his administration in Gujarat. This has allowed Modi to build his brand as a progressive leader who has the ability to deliver economic results - the single biggest leitmotif of this campaign that has allowed it to cut through caste bias among other things. "The Congress is not lacking in spending power or ability to get marketing brains to campaign for it. But the biggest push for Modi has come from the overt push and advocacy of corporate leaders," says independent political observer and media veteran Paranjoy Guha Thakurta. "It is a truism that marketing cannot sell a bad product. Irrespective of the money you spend on marketing, if what you are selling fails to strike a chord in the minds of a large section of the electorate, all efforts to market Modi would be in vain." The biggest challenge Brand Modi faced was diverting public attention away from the 2002 communal riots in Gujarat that claimed the lives of more than 1,000 people, mostly Muslims. Initially, Modi's supporters in BJP attempted to engage in public debate and highlight the clean chit given by courts to wash off the stigma. Then, they changed tack. They toned down the Hindutva rheotoric and focused instead on Modi's more recent past and his development record in Gujarat. "He knows that people want a better life and he offers Hindutva with the right dilution," says Desai of Future Brands. Marketing gurus cite the examples of Cadbury, PepsiCo and Coca-Cola that battled problems relating to brand-taint. Cadbury had fought its way out of a controversy related to worms in its chocolates while the two beverages giants faced allegations of pesticides in their colas. "The best way for a tainted brand to overcome a challenge is to not talk too much, but to acknowledge it happened, and then move on," says Samu, the ISB professor. "The more one talks about, the more the memory for that event gets activated among the target market, and they remember it more. The BJP and Modi did not talk about it. Or if they did, they kept it to a minimum," he adds. IIM-Bangalore's Moorthi says the weakness of the Congress leadership also helped boost Brand Modi. "When the brands in the domain appear worse, the contending brand might shine by comparison. In Modi's case, he was helped by the tightlipped nature of the Congress leadership and their indifferent performance in the second stint," he says. While most companies routinely apologize for problems detected in their products, Modi stopped short of doing so. "He did give an account of reflections on the event [the riots]. He seemed to say that he was pained about the event but didn't say sorry," says Moorthi. 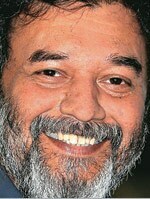 Veteran adman Prahlad Kakkar concurs. "It does not matter if he [Modi] is wrong. He will never publicly admit that," observes Kakkar, who has been associated with several political campaigns, including that of Indira Gandhi. "But he will, at the same time, take corrective measures to navigate out of it, without ever saying so." Not so long so, the words that could have been used to describe Modi were authoritarian, megalomaniac and communal. The way the creators of Brand Modi dealt with the third taint was by not dealing with it. "What more was there to say [about the post-Godhra riots)? There have been various panels instituted to probe into the matter," says a BJP leader. Instead, they focused on building Modi's image as self-made, strong, efficient, inspiring, and incorruptible. "He [Modi] created an impression of being a sincere, credible and committed leader. He convinced people that he could improve their lot," says social scientist Ramadhar Singh, Distinguished Professor, IIM-Bangalore. This is the leitmotif the marketing arsenal of the BJP worked to amplify. "No media can help create that kind of consistency," adds Kakkar, the veteran adman. Automatically, as if by derivation, the Congress-led United Progressive Alliance began to look more and more indecisive and corrupt. "Today, India attributes weakness and failure to Congress," says adman and lobbyist Suhel Seth. "Modi stands for good governance." All stories about Modi's life in the public domain have consistently fed into this new image. And although questions remain about Modi's ability to perform at the national level and his Gujarat model of governance, his personal branding and marketing strategy seems to have worked and voters across the country appear to believe his claims. "Even if you cut out 40 per cent of what is untrue about Modi's promise of growth...the rest is very real," says Guwahati's Chiranjib Hazarika, 24, who is looking to start a career in banking. "Development is his only agenda and people are following him." Modi's message has attracted even those disinterested in politics. "I have never been very politically conscious. But it is frustrating to see our economy slide back from the progress it made. So, I stepped out to vote, for the first time, for Modi," says Shankar Narayanan, 28, who works for a multinational information technology company in Chennai. "Modi has a proven track record of governance and growth." Cut to 40-year-old Manoj Rana, who runs a small guest house in Shillong, and you have the answer to the most central ingredient of Modi's branding: "We are not interested in politics. We want change. Modi can deliver that change. People are sensible, they are not carried away by mere talk," he says. That indeed is the bottom line of any brand's success story. It bears out that Modi's brand is by him, for him and from him. The BJP machinery has served as mere coaches for the branding-led engine of Modi. The national branding of Narendra Modi was born out of compulsion. Opponents had successfully branded the BJP as communal and checked its rise under the uninspiring old leadership. The BJP needed to redefine Indian politics along dimensions of good governance and development that suited it better. The party was the first to recognise and adapt to the fundamental shift in the composition and aspirations of voters. It seized the opportunity to project a new face to address voters' aspirations. Thus was born brand Modi. A humble origin, extraordinary achievements through sheer hard work and dedication, and a corruption-free image made Modi an apt mascot to challenge the status quo. The branding of Modi and a presidential-style campaign was a brilliant response to redefine Indian politics. The branding of Modi was a well-crafted strategy of the RSS and the BJP. The campaign attracted many newcomers. It was the first election campaign in India to use social media and information technology heavily and first to listen to the voters and respond in real time. Brands require huge investment to build, and continuous nurturing to sustain value. Not only can brand Modi sustain the BJP in power for a long time, it can also help the RSS reposition itself. However, before that can happen, the promise of brand Modi - good governance and economic development - must be realised. Further, many voters are uncomfortable with the communal agenda of some of his supporters. Modi has to show what true secularism is and why it is different from pseudo-secularism. If he succeeds in these three areas, he would change Indian politics forever and make the BJP the natural party to govern - the main objective for building brand Modi. It is not uncommon in the world of marketing for a brand to become not only bigger than its creator but also to revitalise and rejuvenate it back. What iMac and iPod did to Apple Inc is what Narendra Modi has done to the BJP. Prior to Modi, the BJP brand was on the brink of irrelevance for what it stood for. Its Hindutva identity resonated deeply with the partition generation but its effect had weakened for the successive generations. Demographically, India is one of the youngest nations with more than 65 per cent of people below 35 years. Modi's ability to become bigger than the BJP lies in his ability to listen to murmurs and whispers of this India, tapping into their simmering anger and hopelessness. Modi created an identity that resonated with far more people and deeper than that of the BJP. Like brands make sense at surface and deeper levels, Modi's discourse on economic development and prosperity intersected at the surface level of consciousness. The Gujarat model threw in words like governance, roads, electricity, women's safety, peace, industry and education, supported by statistics. This satisfied the questioning mind that hankers for reason. But reason is often the alibi for non-reason. Modi's ability to become taller than his party lies in his symbolism. He tapped into despair, hopelessness and sinking feelings, and arrived on the scene taking on the symbolism of the outlaw and the ruler combined. He is perceived as an icon of disruption and rebellion against the way things are done. It is this counter-cultural streak that appeals to youth who desire change. And his traits like being organised, proactive, and confident, and in command of things, subtly connect with the ruler archetype.